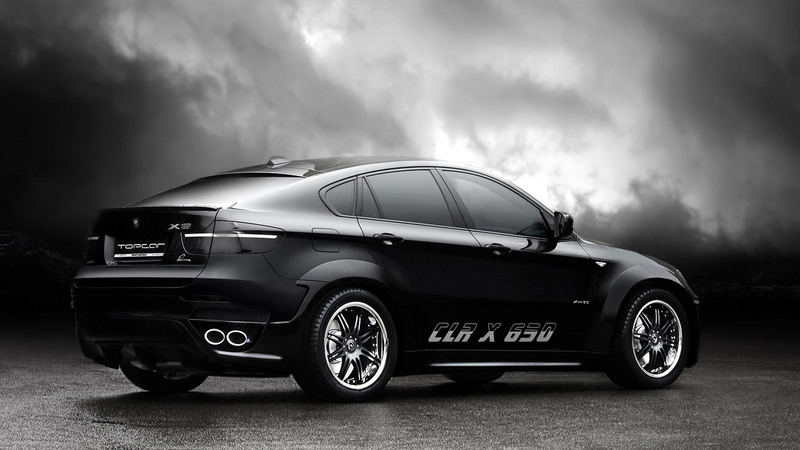 We’ve posted some time ago about this gorgeous modified BMW X6 Lumma CLR X650. This new black edition X6 features the same modifications as that white edition X6. The same engine power as well, just different wheel rims. Both versions are looking just great. Both basically are the same, but at the same time both are completely different by looks of colors. Normally i would choose a black color model, but this time i would go with the white model, because it simply looks better. First of all, the wheels are looking way better than on this Black Edition model. Secondly, exterior’s color fits those black windows so nicely that i just can’t choose the Black Edition model. If it would be any other BMW model, i normally would choose a black model between black and white, but on the X6 white color somehow looks way better than any other color. Obviously, everyone has its own taste, but that is what i would choose. A lot of parts have been changed on this new Lumma CLR. A new rear bumper, front spoiler, side skirts, a rear spoiler and other minors things on the exterior. The interior was modified as well. Four individual Recaro sports shell seats can be found out there. Also, new diamond-shaped stitching, Alcantara, and ergonomically shaped sports steering wheel is added as well. Some other minor modifications are included as well in this car’s interior. All this was done in Lumma Design’s headquarters in Winterlingen, Germany. Also, you can order these modifications at the same place as well.